Welcome to Nick Price Creatives, for cost effective website design. We are different to most website design companies. We offer top end work without the top end price tag and, most importantly, we listen to you. Our website prices are fixed. So you know exactly how much your website will cost. We include Flash (dynamic moving imagery) and SEO as standard. We do not limit you to a 3, 5 or 7 page 'website package' we tailor a bespoke website for you, because we believe every customer is different and has individual requirements. Our websites look great - that's what our customers constantly tell us, the websites work great and get results by being found within search engines. We offer graphics, flash and even video to our websites without boundaries or limitations to what you can and can't do. A tailored, bespoke website by Nick Price Creatives will increase your market share and ensure your company is seen, on the web, as professional, dynamic and someone to do business with. We don't blind you with science or techno-babble, we'll tell you what can be achieved without compromise, to suit your budget. If we can help you with your website, talk to us, for a FREE no-obligation consultation. 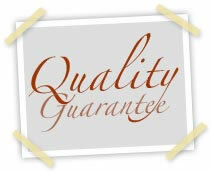 Our Website Quality Guarantee ensures you are 100% happy with your website - no compromises! "Websites that work, look great and get you noticed in search engines"
Websites can be daunting - so we won't throw lots of gobble-de-gook phrases and geek speak at you. You don't need to know your PHP from your MySql, that's our job. You need to know that your website design, hosting and management is in a safe pair of hands. We have worked with some of the biggest names to some of the smallest; Cadbury Schweppes, Barclays, RCI, Bassett's and Bass - but also as important are the sole traders and smaller companies. Big or small we treat you the same - a top end website with the top end price tag. How else can we help? - Logo Design - Photography - Copywriting - Design for Print - Newspaper Adverts - Yellow Pages Adverts ...Just ask! We work closely with our customers, suggesting how best to promote their products and company, using local newspapers, print and new media. We talk common sense and are totally transparent with our costings, so they know where they stand. If we can help you promote your company, talk to us, for a FREE no-obligation consultation. Quality, affordable website design with Flash and Search Engine Optimisation built in from the start - ensuring your website looks good and is found easily! Our dynamic and stylish websites have transformed the web presence of many businesses including a number of local companies. We sell our services by the quality of our portfolio of websites we have designed and developed. We have no restrictions on the number of pages you can have and offer Flash (moving graphics) as standard. We offer a fixed price from the outset for your bespoke website. We also host websites and offer SEO (search engine optimisation) so your website will be found in Google and other main search engines. We don't blind you with science or techno-babble, we'll tell you what can be achieved without compromise, to suit your budget. For examples of our latest websites see here. If we can help you with your website, talk to us, for a FREE no-obligation consultation. Our websites look great, work great and get results by being found within search engines. We offer graphics, flash and even video to our websites without boundaries or limitations to what you can and can't do. A tailored, bespoke website by Nick Price Creatives will increase your market share and ensure your company is seen, on the web, as professional, dynamic and someone to do business with. We are so confident we can improve your website presence, we don't need a contract - if you are happy with the results, you'll continue to use our services. Simple. Out of our area? No problem. We have worked for large and small businesses all over the UK including Reading, Evesham, Norwich, Leicester, Derby and Birmingham. We have also worked on holiday websites within France, Switzerland and Ireland. So you may be nearer than you think! We have produced websites in different languages including French, German, Spanish, Finnish, Swedish, Norwegian and Dutch. What do you need on your website? Flash? Video? Sound? Forums? Live Updates? Or everything? The internet is becoming more diverse all the time, how can we help you? From the first meeting we work with you. We will look at your branding and use, modify or design you a new logo. We'll look at your industry, and your competitors. We shall ask the right questions to ensure you help with the design process to create your website. Do you have a domain currently? If you have great - if you have not - no problem. We'll sort out hosting and putting your website on the internet. We'll even sort out the best email for your needs too. All our websites are a fixed price with no hidden costs. You will be supplied with the design draft which will give you the overall look and feel of your new website. Normally the first page, this will also indicate how the navigation to the site will work. We then take your feedback on the design and make any necessary changes order to get your website completely right for you. Unlike other design companies you are not limited to certain amount of design changes. It's at this stage we ensure you are 100% happy with the design of your website. From the agreed design we shall produce your complete website. You can provide photographs and images or we can take photographs on site or provide suitable imagery. Similarly with text; you can write all the text, bullet point it or we shall write text for the entire site! During the design process we shall implement a SEO (Search Engine Optimisation) strategy, ensuring keywords and code is suitable and 'findable' for Google and other search engines. Remember it is your website so we allow full access to your domain at any time, you can modify your website with news or latest products or we can modify it on your behalf.